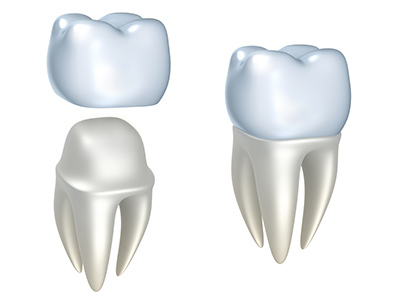 Your dental crowns are designed to protect your teeth, but what can you do to protect your crowns? If you want your new dental crowns to last as long as possible, you'll need to follow a few helpful steps. If your teeth and the surrounding gums aren't healthy, your dental crowns could be affected. To combat any problems, you'll want to brush twice daily. Floss your teeth regularly, especially in the area where the gums meet the teeth. An antibacterial mouthwash can also help to keep your mouth healthy by keeping bacteria levels under control. When your teeth have been capped with a crown, it is important to avoid especially hard foods that could cause damage. This includes chewing on hard candies or ice. By sticking to softer items, you won't subject your teeth to any unnecessary pressure. To keep your teeth healthy, it is important that you treat them just as that - teeth! When you use your teeth as tools to open packages, trim your nails, or any other function, you'll put them under unnatural stress. Your crowns are strong, but after continued use they may not be able to handle the pressure. Practice good oral habits and avoid using your teeth for any functions out of their scope. When it comes to keeping your dental crowns safe and intact, you'll need your dentist's help. Make sure you follow up with your regular cleanings and exams. Your dentist can use this time to inspect your crowns. When detected early, you can correct a problem before it becomes a major issue. We want your dental crowns to last for as long as possible. Call us today to set up your next appointment, and let us ensure your crowns are still in good shape.